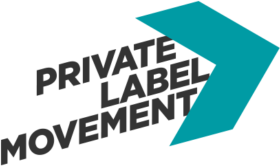 Launching your private label on FBA Europe will scale your business to new heights in 2018! Opportunities creating private label brands on Amazon have made millions for FBA sellers in the US market over the past 5 years. Today, it seems like every new launch is a steeper mountain to climb in terms of reviews needed to rank. The market is saturated with sellers, and if you don’t have a ‘unicorn’ product or thousands of dollars to spend on PPC, it’s definitely more challenging to expect a good return. The bad news is that the gold rush for Amazon USA is over. If you weren’t one of the early FBA sellers, you’ve missed out on the big gains that were within reach just a few years ago. Unless you’re incredibly lucky with your product or you have a large budget set aside for PPC, it’s much more difficult to compete with other US sellers. If you are selling on Amazon in the US and have had trouble finding gains or new niches or if you still like the idea of growing your FBA business, but you’re unsure about where to find new listings, I want to tell you about Amazons Europe. Amazon has dominated E-commerce in the US and has changed the way consumers shop. These are market changes that Amazon inspired with their platform, and online shopping is not a trend that will fade any time soon. Consumers can search for and buy almost everything using only Amazon, and the site’s popularity is only increasing in countries around the world. The time for Amazon EU’s gold rush is quickly approaching! First, let’s establish why so many sellers are looking towards expanding into Amazon EU. The EU market is actually much bigger than the US market & it’s growing. Amazon EU is significantly less saturated with products, which means there’s plenty of unique opportunities. You can still find numerous high volume niches that aren’t very competitive. There are significantly less experienced FBA sellers competing for rank. CPC ads are much cheaper in the EU. The European marketplaces opened later than the US which means that we have the rare chance to see history repeat itself. The EU has twice the population of the US, and Amazon is moving to do the same thing it did for E-commerce in the US to Europe. Because FBA Europe launched later and because there are less sellers on FBA Europe, there are MASSIVE OPPORTUNITIES right now to get in early. Don’t wait until it’s too late to get started. Can I Really Rank That Easily? In a word, Yes. FBA Europe sellers tend to be less sophisticated than US sellers, so there are loads more successful niches where you can go in and rank fast with far less reviews. Like anything, you have to know what you are doing to set up in Europe and launch successfully in their marketplaces, but if you follow along our course, I can show you exactly how I do it as an American seller. This mini-course is for serious entrepreneurs who have a basic understanding of how Amazon FBA works in the US. It’s not a get-rich-quick scheme or a promise of untold wealth without some hard work or investment. If that is what you are looking for, this is not the course for you. This mini course teaches you what you need to know to get started on FBA Europe. It’s broken down into a 5 part overview of how to setup and thrive in one of the most promising e-commerce markets in the world today. We also offer a more comprehensive course through our consulting arm, but this email course should give you a clear picture of what it takes to get started. Fourth Lesson: VAT and EORI numbers – what you need start selling. Sign up for the course and get closer to selling on Amazon Europe today. It’s 100% free and full of valuable content from 7 Figure Amazon Europe Power sellers.